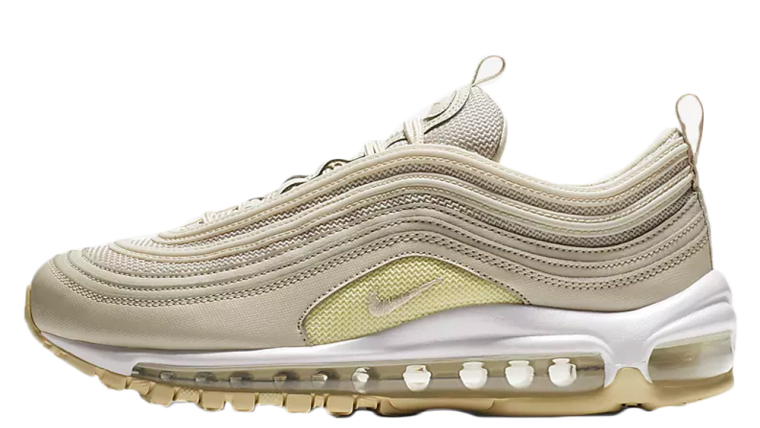 Nike have just brought out a perfectly golden Air Max 97 Gold Desert Sand/Beach. 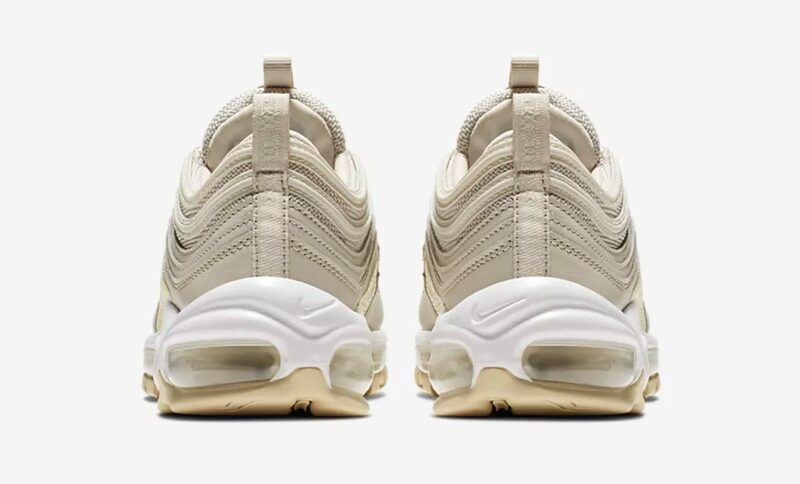 Similar to their Golden Bullet, this sneaker has a much lighter colour, is much more subtle and feminine in its pearly gold hue. 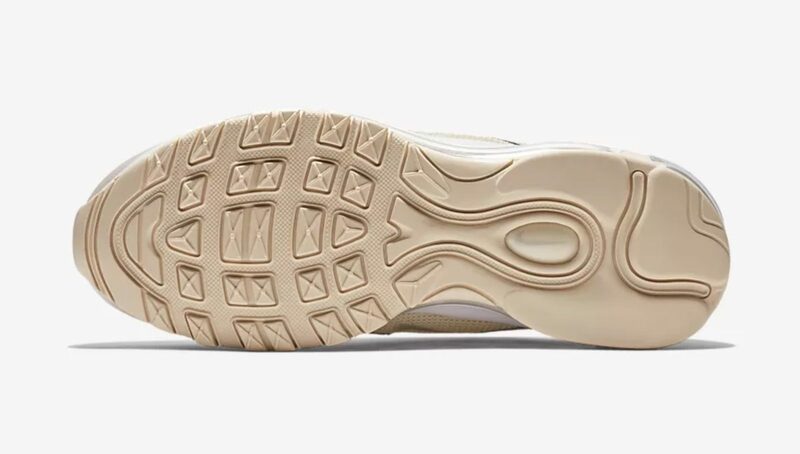 Arriving in a Desert Sand/Beach/White hue, this sneaker has been designed with an all over hue for the upper, a white midsole and a golden outsole. Sandwiched within the midsole is an Air unit, travelling the full length of the silhouette. 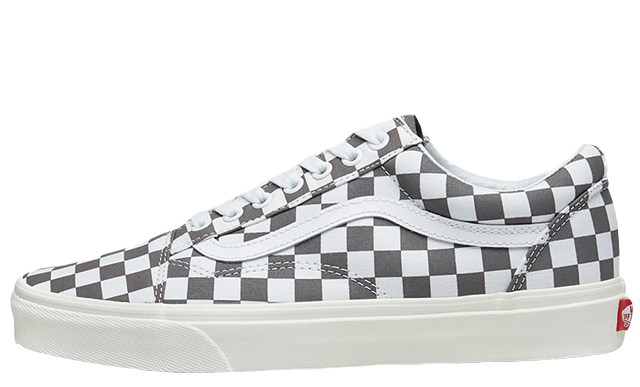 Perfect for those who will be rocking these for active reasons and equally as great for day to day wear. The iconic Air Max 97 waves on the upper are made up from a textured leather and mesh. 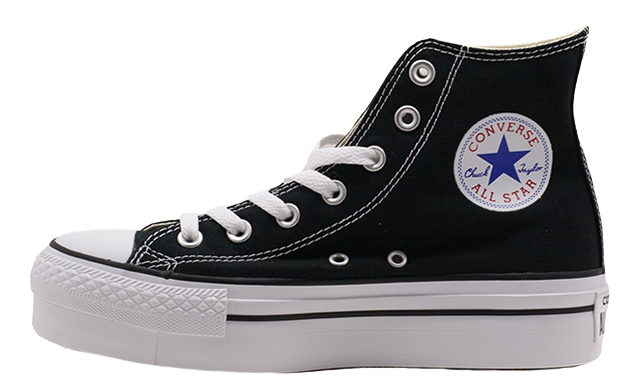 This promotes durability while still leaving your feet the means they need to breathe. 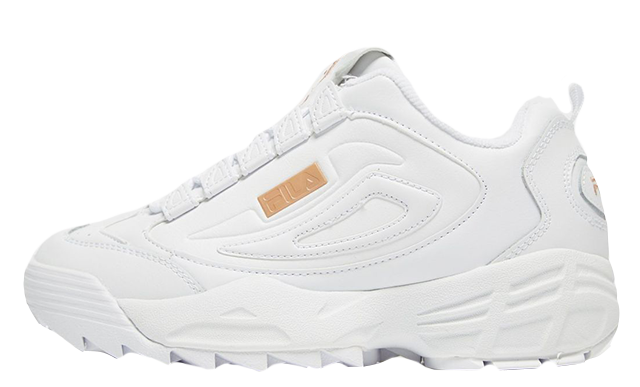 To the sidewalls of the sneaker is a lighter yellow mesh with a mini embroidered Swoosh. Below foot, the treaded outsole will keep you glued to all surfaces! 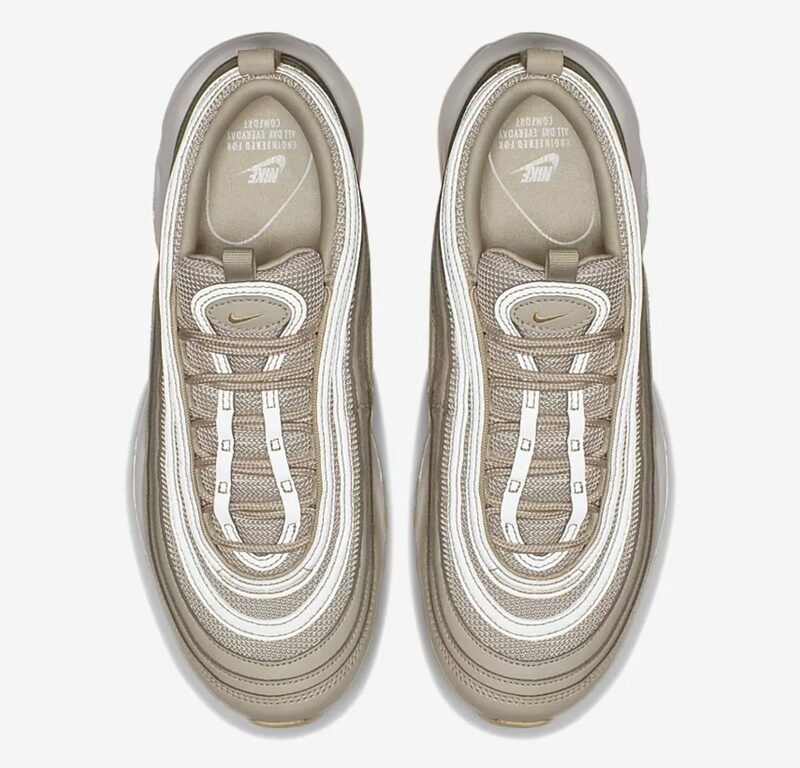 Gold Swoosh branding sits on the padded tongue, showing off the brand. 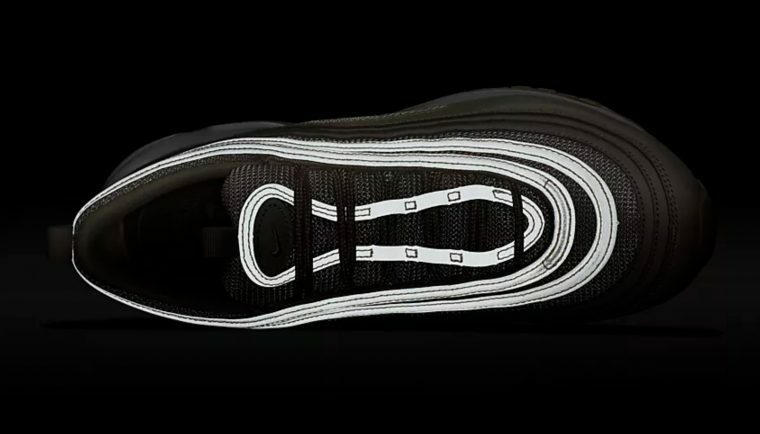 An Air Max branded heel tab has been designed in the same tone to create a consistent effect through the shoe. 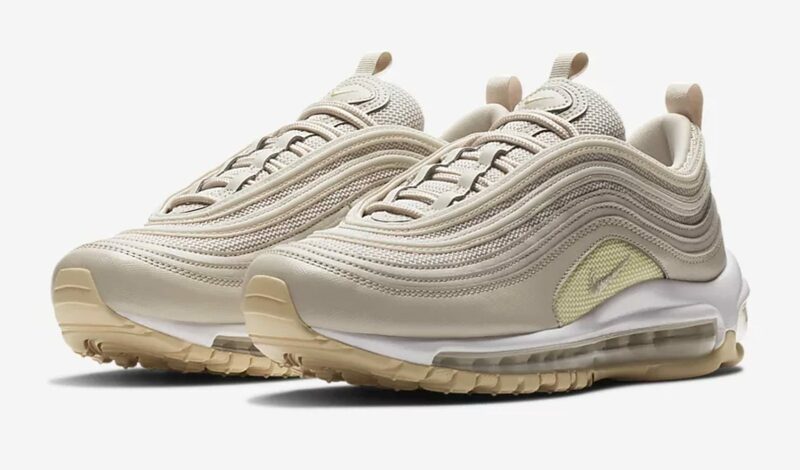 If these golden Nike Air Max 97 Gold Desert Sand/Beach are for you, then head to the links above to shop your pair now! Don’t forget to #thesolewomens on Instagram on your in hand/on foot photos for the chance to be featured on our feed!